Check out these photos of grandparents that are bound to tug at your heartstrings. If you are fortunate enough to have grandparents present on your wedding day, you can bet there will be lots of photo opportunities. Sure there are the standard family portraits that’ll you want to take, but when you get a candid between your grandmother or grandfather those are the photos you’ll hold onto and cherish. 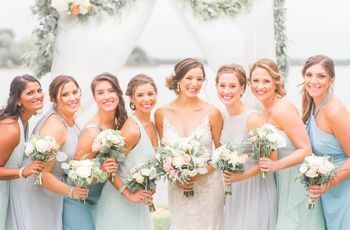 Whether it's a photo of you and your grandma's wedding rings together or an emotional embrace after seeing you wear a family heirloom, these moments are just too good to miss. That’s why we’ve decided to share some of our favorite grandparent photos with you. 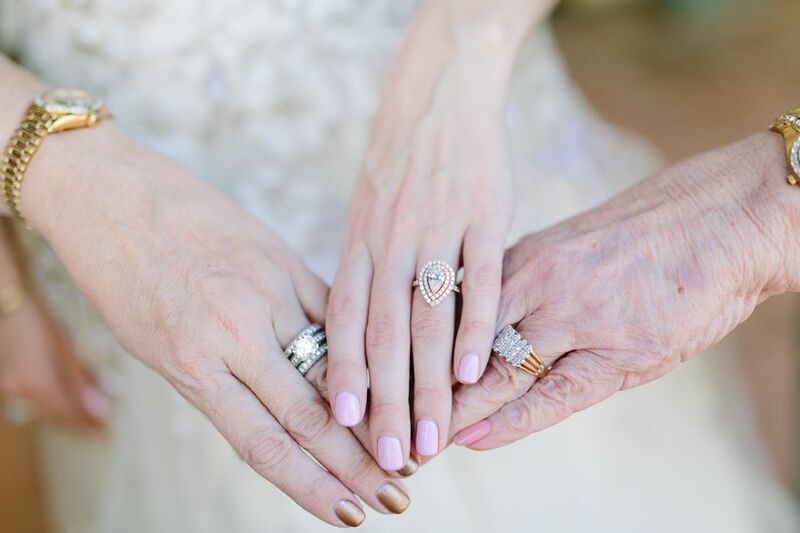 We love how this ring shot shows three generations of wedding rings. This is definitely a must-have photo with your grandmother because it includes your mom, too—as well as your new sparkler! 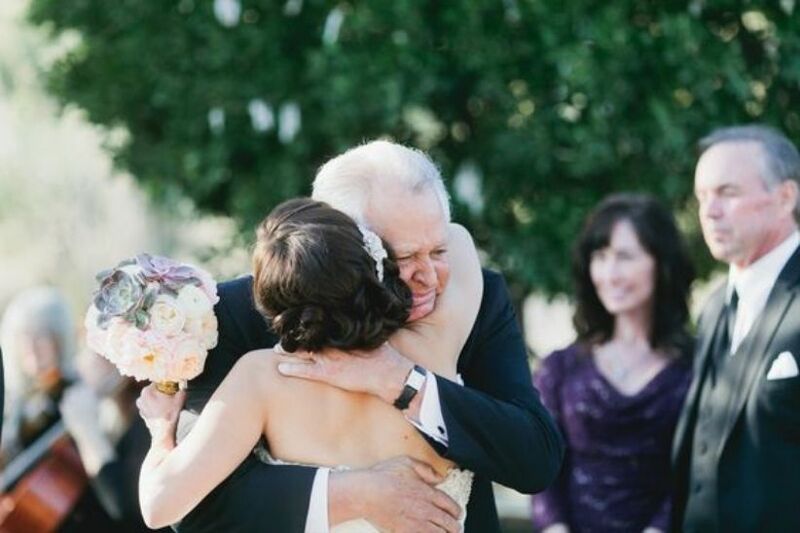 A quick embrace with your grandfather during your reception can give everyone goosebumps—especially if you both can't help but shed a few happy tears. 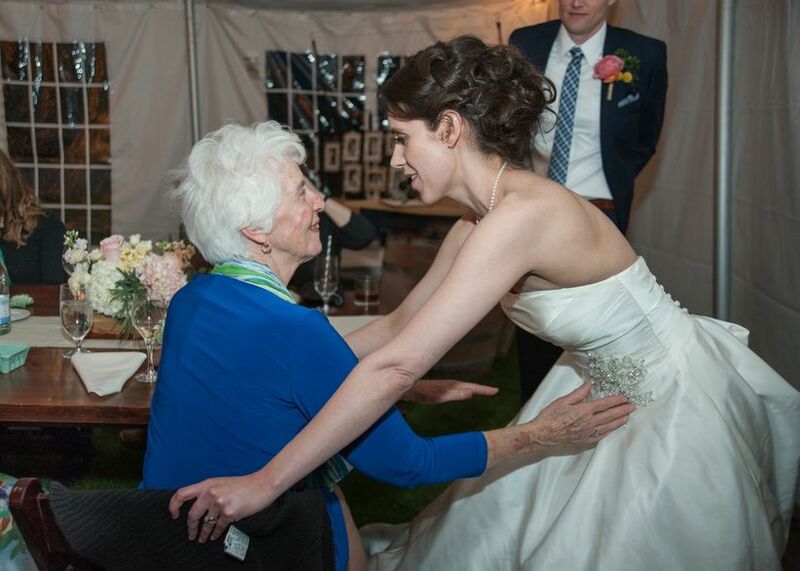 Instead having your nieces or other youngesters as your flower girls, ask your grandmother! 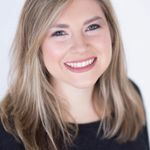 Not only will she be honored, but she can have fun with the position by either tossing flowers or interacting with your guests as she makes her way down the aisle. 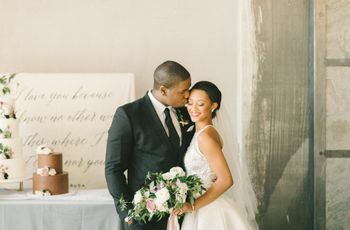 Candid moments are some of our favorites here at WeddingWire—and for good reason, too. 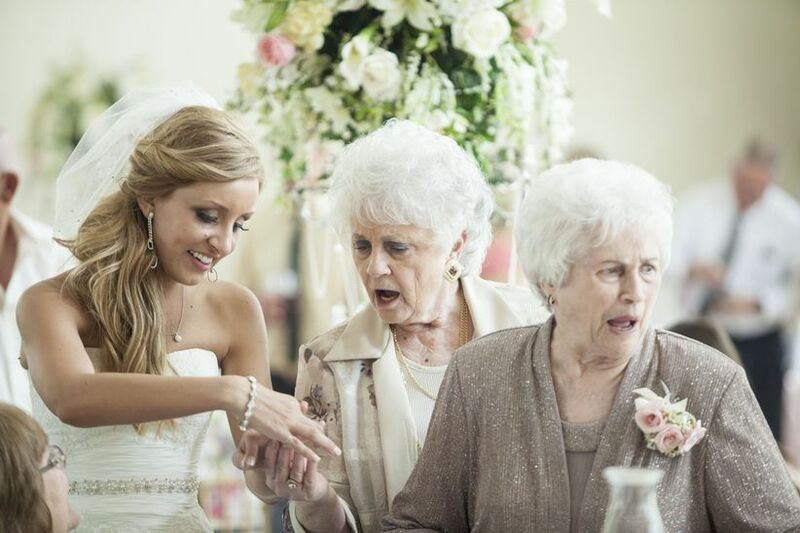 Just check out this LOL moment where the bride’s grandmother gasps over the bride's ring. It must be truly wow-worthy to give off that expression. 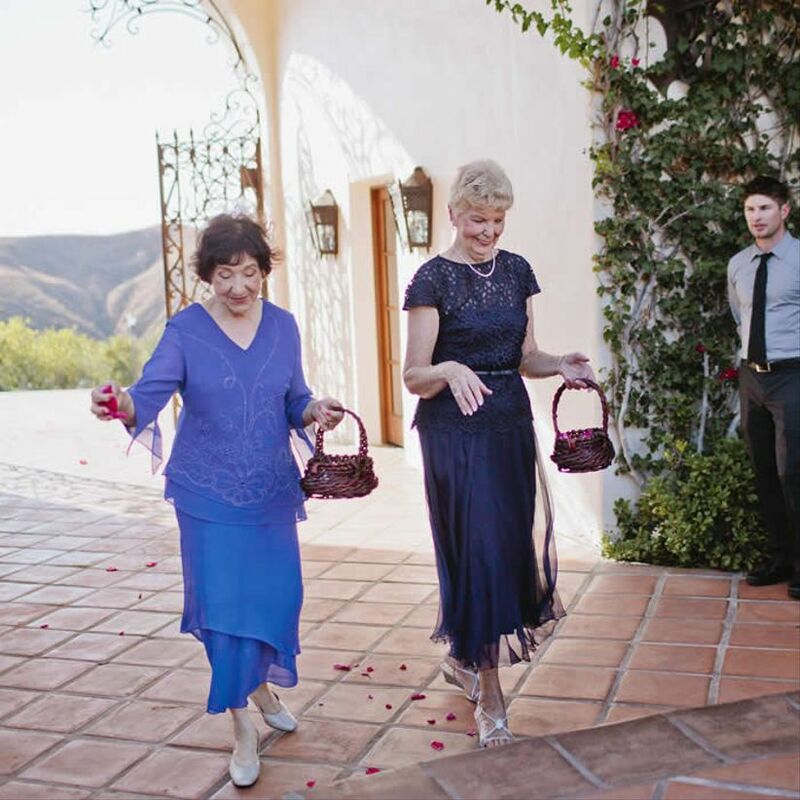 Like we said, having your grandmothers as flower girls is such a fun idea. Bonus: You can easily make your future-spouse’s grandmother feel extra special on your wedding day by including her as well. 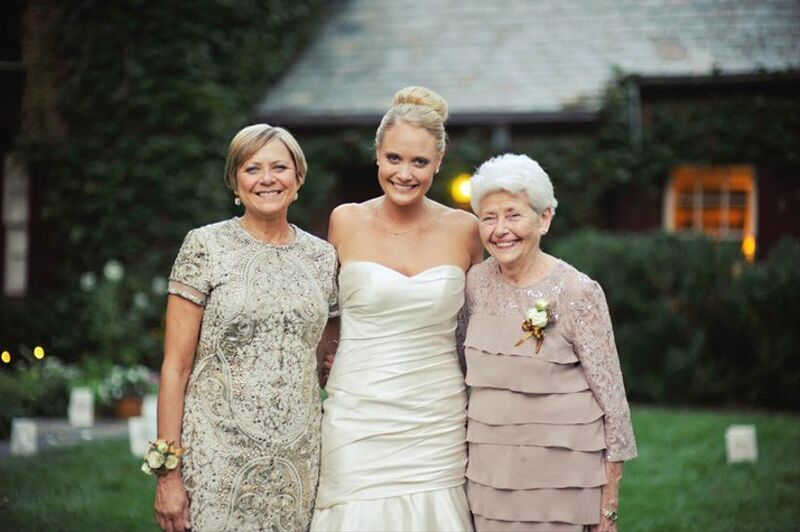 Before taking wedding party or couple portraits, you should definitely grab a photo with your grandmother and mother. 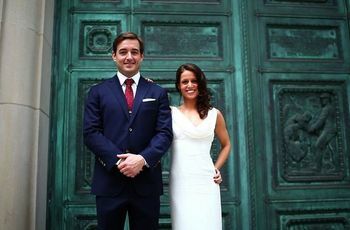 They’ve been there for you for all the ups and downs and will love posing with you before the celebration begins. 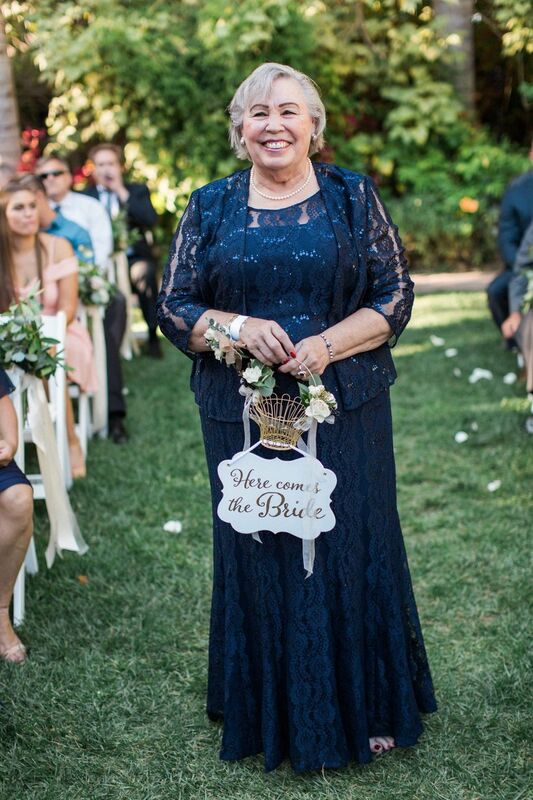 As you go around and thank your guests for attending your big day, there’s no doubt that you’ll get some kind words from a doting grandmother. 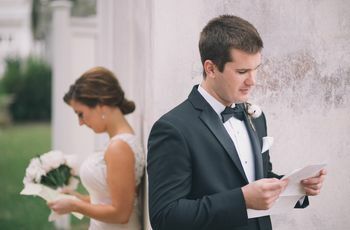 Displaying family photos of your Grandparents’ wedding day throughout your reception decor is a sweet way to remember those who have passed away. 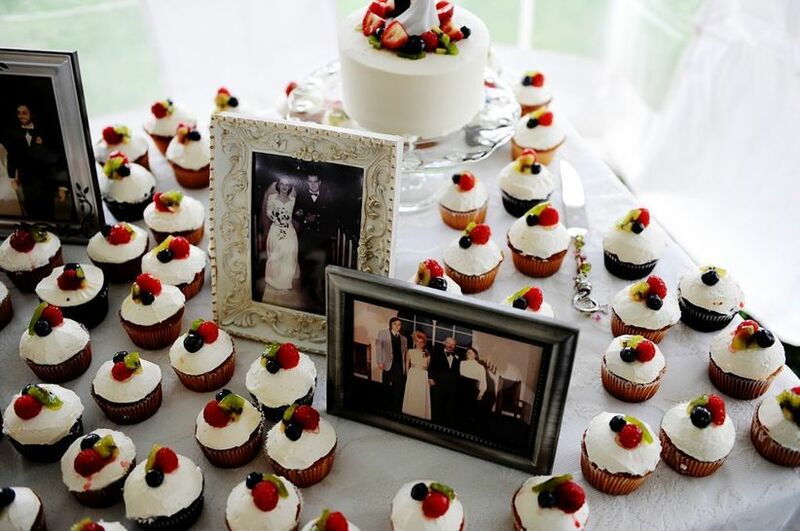 We love how this couple showcased their Grandparents' photos on their dessert table for guests to admire.